AFI are one of those bands who’ve been around for a long time now, having formed in 1991, and they’re one of the even fewer bands to have never really released a bad album over that many years. ‘Burials’ marks their ninth studio album and it’s definitely darker than ‘Crash Love’ (an album I found somewhat lacklustre), and also a little more adventurous. Vocalist Davey Havok described it as ‘very layered and very rich’ in a pre-release interview and having listened to it several times now I’d have to agree, and the band have rarely sounded better as a result. After a few albums that saw the band achieve mainstream success, but also saw them stumble musically ‘Burials’ sees AFI find their comfort zone again. It takes elements of pre-‘Decemberunderground’ releases and merges them with the more pop-rock aspects of their latest work. It finds a more than satisfactory balance between the two contrasting sounds and it makes for a deep and expansive album that sounds even better with Gil Norton (Foo Fighters / Jimmy Eat World) on production duties. He gives ‘Burials’ a much more dynamic and cinematic sound, that makes tracks stadium sized whilst still sounding claustrophobic and edgy. Production throughout is excellent and it brings something to AFI’s music they lacked on the relatively tame ‘Crash Love’. Third track ‘A Deep Slow Panic’ is most akin to their last studio album, possessing a very ‘Veronica Sawyer Smokes’ bouncy feel to it that actually works quite well considering the tracks title. Second track ‘I Hope You Suffer’ is exactly what its title suggests – a darkly brooding angst anthem, carried by rallying drums and trademark Havok poetry. Lyrically and vocally Havok excels and gives exactly the performance you’d expect of a musician of his calibre. His unique delivery perfectly complements the albums dark tone and he even suits the more up tempo and lively tracks. Of course, even upbeat AFI is still strangely bleak and this is clear on second single ’17 Crimes’, one of the bands best tracks since ‘Girls Not Grey’. It’s the shortest, fastest and best track on ‘Burials’ and manages to perfectly capture the bands still youthful energy and couple it with trademark AFI lyrics like ‘If I weren’t so cold, we could unfreeze this moment‘. Lines like ‘Bleed into black clouds and I will lick them clean’ and ‘I gave my heart to the cruel and now it will not beat again‘ still fit perfectly, even amongst the albums more melodic and soaring moments. The themes of betrayal which Havok hoped to convey are clear and there’s a lot to explore and dissect in terms of lyrical content on ‘Burials’. Alongside tattooable lyrics run grandiose instrumentation containing electronic elements (‘The Embrace’) borrowed from Havok’s and guitarist Jade Puget’s Blaqk Audio side project and overall ‘Burials’ is truly breathtaking at times in terms of its scope and range. Every aspect of the album seems to complement another and it means that ‘Burials’ is concise and hard hitting. 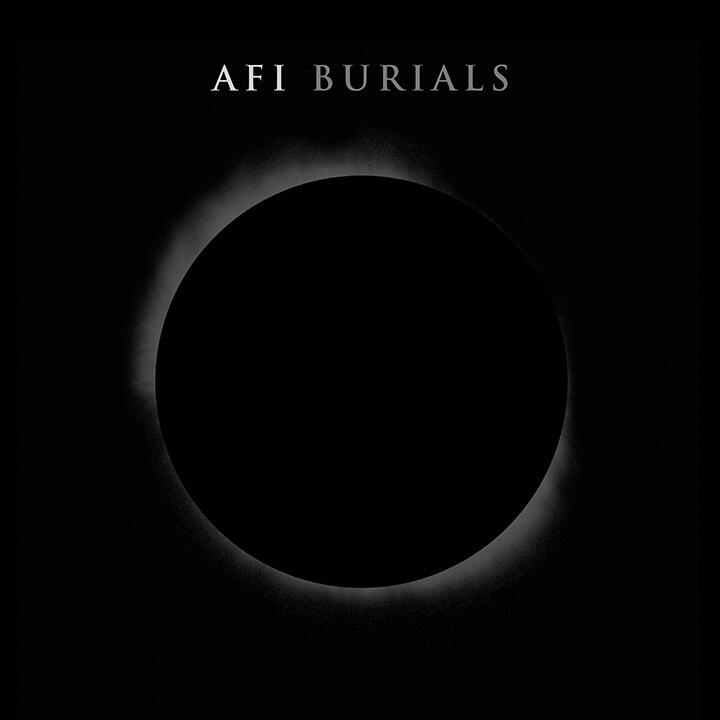 There’s a cohesion that past albums struggled to find and it cements ‘Burials’ as AFI’s most complex and confident release. ‘Rewind’ sees everything fall into place musically and the band have rarely sounded so self assured. It’s expected considering there hasn’t been a change of personnel since 1998 but ‘Burials’ sees them finally come good and release an album of staggering quality, bar a few meagre tracks. ‘Burials’ does have its flaws and the second half is considerably weaker as a result of a few fairly forgettable songs such as ‘Anxious’, ‘Wild’ and the almost laughably out of place ‘Heart Stops’, which completely ruins the pace and tone of the album. It isn’t necessarily a bad song, but is definitely the weakest moment on ‘Burials’ and it’s selection and placement is baffling. Thankfully, AFI quickly hit their stride again with the blistering ‘Rewind’ and ‘Greater Than 84’, one of the albums best tracks containing excellent vocals, instrumentation and suitably somber gang vocals. Closer ‘The Face Beneath The Waves’ is haunting and emotional in equal measure, with Havok simply floating above eerie instrumentation before the track bursts into life with a heart rending chorus. AFI have always excelled when it comes to creating atmospheric and unnerving music that perfectly captures sorrow, and ‘Burials’ reaches out a shaking hand and forces the listener to take hold, especially on its fitting finale. ‘Burials’ is a thrilling and intricate return to form, let down by a few more transparent moments. Ignore these weaker tracks and you’re left with a brilliant and immersive album that is easily AFI’s best. The album explores new ground whilst pleasing fans old and new in the process, and it’s a relief to see the band choose a different route to ‘Crash Love’ that manages to keep them unique and compelling after such a long time.